This was our fourth Top Deck trip and it won't be the last. Our fabulous 'dive butler' Martin looked after us to perfection. From his smiling face waking us up for the dawn dive with our tea and fruit, to guiding us to see Nemo and Dory, getting us warm dry towels at the end of the dive, making us cocktails, to our turned down sheets, artfully folded fresh towels and chocolates when we went to bed. This visit, it was too windy to eat up on deck, but we have enjoyed the sunset dining on other visits. The food was once again superb. We love diving with Reef Encounter and it is wonderful to see many of the same crew still there which speaks volumes in such a high turn over industry. From the moment we checked in to the moment we left it was a 5star experience, excellent, attentive, knowledgeable staff. We opted for the top deck VIP package, which is well worth it, lovely room on top deck and of course, Martin, our personal, attentive valet. I would not have snorkelled as much and seen as much if Martin had not been there, he gave me confidence and pushed me to do more, the 6.30 am session was truly magical. The food and beverage was outstanding and plentiful, we enjoyed an amazing dinner on the top deck worthy of a top restaurant. I cannot recommend this experience enough, The knowledge we have amassed, and the wonderful memories will forever stay with us. The crew are very helpful, friendly and accommodating! I really appreciated the extra assistance with my scuba gear! The meals were amazing! Nicole gave us wonderful service throughout our entire stay from coffee and tea in the morning to our wonderful dinner on the deck. Well done! We had a great time and will recommend to our friends and family!!! The crew were great! Super friendly and generous with their time. Funny and helpful. They were also having the adventure of a lifetime -- it shows!!! The food and rooms are excellent. Mackensea, our concierge, was just great. Ensured our time on the reef was super special without being too intrusive. She was a great guide and nothing was too much trouble--she is a great asset to your organisation!! Everyone was amazing. We had Mackensea as our personal assistant & can't thank her enough - ensured we had everything we needed & wanted. :) Loved the Top Deck experience & dinner under the stars. Mackensea makes great cocktails; Louis took great photos. Was the best place to get engaged - can't wait to come back soon! Unbelievable 10/10. Our Top Deck guide Val was unreal. Really deserves recognition/praise from management for her hard work. A credit to the company. Really enjoyed the whole experience. Once again, management please formally recognise Val for all her efforts. Everyone on the crew was amazing. Especially Pablo. Crew are very attentive, helpful, knowledgeable, polite. Accommodation was great - everything was neat and clean. Meals were delicious, very suitable to such active days and activities. Keep up the good work! Thank you for the good service and experience! Really friendly and attentive (crew). Rooms are spacious and comfortable. Food was really good. Overall great experience, would highly recommend! All crew were amazing . Very helpful, welcoming. Couldn't fault them. We had Val as our guide, she was fabulous! Amazing food and clean & lovely accommodation. Would 100% recommend you guys! Amazing job! Thank you. Our guide Val was amazing. All the crew were amazing. Great value for money. I will certainly be recommending Reef Encounter to my family and friends. Amazing experience! Ray, our guide, was absolutely incredible. We loved every minute of our trip! The food was also amazing, sunset dinners on the top deck and the hot tub were an added plus. Night dives were our favorite but we saw cool things on every dive. Love love love and would do it again in a heartbeat. Worth every dollar! 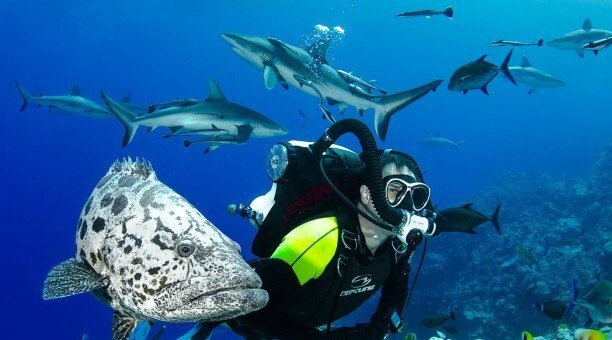 Fantastic dive experience on the Great Barrier Reef. The boat, the crew, the experience was brilliant. The entire crew was very friendly and helpful from the second you set foot on board. The accommodations were very nice and food on board was first class, compliments to the chef. The whole experience was very well organised and ran like clockwork. My dive buddy Niki was a fantastic guide so the experience underwater was fantastic, by far the most enjoyable diving experience I've had, the highlight - Night Diving with Sharks!! My only regret is that I did one night rather two! As good as it gets!! Everyone was so friendly and helpful as you ever hope. Our personal divemaster mike was off the charts 10 ++++++. He made the trip and especially the dives fantastic. The room was way nicer than expected. It was lovely. Food was a big surprise -- fabulous. Like 5 star dining. One of the best adventures we have ever experienced. Will always be remembered. Fantastic! The crew were excellent! They were very helpful and friendly. Also, many thanks to Ray who made our experience great. He was very friendly and helpful and also an awesome dive master! We loved the Top Deck experience and how it allowed us to have private guided dives with the same guide for the whole trip. That really made the trip for us! The crew was awesome! Great people, very knowledgeable. Helpful and friendly. It was such a memorable experience. Such awesome food. Amazing photos! My Top Deck host and dive coach Kari was unbelievable! Loved every minute! We really wanted to spend the night on board of a boat in the Great Barrier Reef and choosing this boat was the exact right decision. The crew were very friendly and kind. I really appreciated it! Meals were really great and wonderful! I really loved it. Thank you chef! The whole trip was a really special experience for me. I would recommend to my friends definitely. Thank you! We booked this trip at our hostel for the fact that it was live aboard and I could get my Open Water certification with no pool training, all of it at the Great Barrier Reef!. The crew were fantastic! They made my trip. I enjoyed them and the trip so much I decided to become a hostie. They knew how to make me feel comfortable when I knew no one. Loved them! The food and accommodation were so amazing! I knew what I would be getting into living on a boat and it was what I expected. The food was pretty good too! The open water dive cert program here was so so worth it. The instructors were very knowledgeable and I'm so Happy to have learned here. thank you so much! We found this boat online to do an overnight trip and get our certification, and it was wonderful! Everyone was very friendly and helpful. My instructor Jackson was awesome. He made learning fun and I feel very confident now. Thank you Jackson! Very well organized. I felt very taken care of. The food was really good, I was never left hungry. I like the snacks in between also. I especially enjoyed the rack of lamb. also, thanks for including a thanksgiving meal. very sweet! Thank you so much for a trip of a lifetime. What a great experience!!! This is the second time I have been on board Reef Encounter and it was to have the same experience I had the first time I was there. I had an excellent time. Everybody was wonderful. Shout out to Josh for being so well organized. Ian was a great scuba guide, as was Pablo. Photographer was cool. Everybody is great! Food was super good, accommodation was excellent. we are from the USA and appreciated the thanksgiving inspired meal. :) Room was bigger than I thought. Nudibranchs forever! night dives were my favourites. Lovely crew, lovely time. So, so, so gorgeous out there. Make sure Jenny gets her navigation down. :) I can't say enough positive things about you all! We loved the fact that Reef Encounter took us to so many snorkeling points. The crew were really kind, very friendly and helpful. The beds were so comfy and the food was so good! In general it was so much fun! Thank you very much for this three perfect days!!! Nathan S. and Lauren M.
We booked as we saw this amazing TripAdvisor Review. the crew were amazing!! Jenny was very helpful and an excellent buddy. Accommodation and meal provided were 5 stars! Room was really spacious, meals were better than expected and we were told to expect the best. Hugo was an amazing dive instructor. Thank you for your patience and for making the entire live aboard experience even better!! We booked Reef Encounter for the Liveaboard experience and value for money. The crew were patient, fun, knowledgeable, attentive and relaxed. Accommodation was perfect and the food was the best i have had in Australia by far. Thank you for an amazing experience. We booked Reef Encounter because we really liked the dive course offered and the reviews.The crew were AMAZING! Shoutout to Hitomi who was an amazing open water cert. instructor. She was informative, patient, super positive and encouraging! The room was great, clean and comfortable and the food was DELICIOUS! 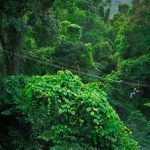 We were so impressed at how well organized and welcoming the staff were the whole experience greatly exceeded my already high expectations. THANK YOU! We booked reef encounter to do our Open Water course because all of your training is in the Great Barrier Reef, no pool training at all! which was great. The crew on board were Excellent! friendly, helpful, great attitudes all around. Well-informed and great personalities. :) Our room was lovely, very celan, fresh towels daily. Food Exceeded my expectations, it was like a gourmet meal every time. In general we loved it! I would definitely recommend and come back again myself! A friend suggested the trip for me and it was Excellent! I was new to the snorkel world and the crew were awesome, Martin, Nelson, Josh, Will and Alex helped me very much. Iris is wonderful! There was also plenty of fresh and delicious food! Compliments to the chef!! The crew works very hard! Always pleasant and extremely willing to assist in any way. Thank you for making my first experience so wonderful! Alice G. and Owen B. We booked originally as we found the Top Deck Club package with the private valet very inviting. Once onboard, the crew was awesome, very friendly and well-trained. Niki is just the best! Our accommodation was amazing. Food was beautiful, even for vegetarians! In general it was a perfect stay and an unforgettable experience. Thank you! This was my second time On Reef Encounter but first time Top Deck! The staff, the accommodations, the food all were wonderful like the first time I stayed last year. The difference with Top Deck is I had my own personal dive instructor/guide who also looked after me throughout my 4 day stay. Dinner was served under lights on the top deck and coffee and fruit in the morning for my wake up call. Kari, my guide was top notch! She not only pampered me with creature comforts throughout my stay but was an excellent dive instructor and guide pointing out many wonderful creatures and things to see on our dives. 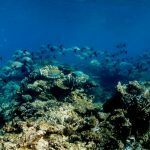 She had extensive knowledge about the reef and was delightfully informative when asked. The other Top Deck participants were equally as impressed and happy with their experience as we chatted about it at dinner. They also have a photography team on board Scubabo, which take impressive shots of you underwater and on the boat. I took my own photos too but they don’t compare at all to the quality Scubabo puts out. You can buy all of the photos of yourself plus a lot of impressive shots they have taken at the reefs for a very reasonable fee. I am excited to frame some of these. In my personal opinion this is the best outfit to see the Great Barrier Reef with and whether you choose Top Deck or standard accommodations, you are going be looked after by a wonderful crew, have plenty of time in the water, and feel you spent your money well. One of the best experiences in Australia. We booked a 2 day / 1 night liveaboard trip at the end of August. We enjoyed it very much and if we had had more time, we would have spent more days there. Snorkelling and diving in the Great Barrier Reef was spectacular. Moreover, the crew was friendly, the guides were professional and the food was super tasty. Everything was fantastic, we recommend it to everyone! I went with the Top Deck package and it was excellent. Very happy with everything. The crew was excellent. Showed they really cared about the boat and everyone's experience. From taking care of the little things, to the food, just excellent. Thank you! For me, this trip has been something I have wanted to do for a very long time. so, with this opportunity, Reef Encounter made it perfect. I would like to thank Kieran for truly making this trip above and beyond. Thank you for everything. We did a 4 day trip with me diving ( been diving for 18 years and PADI rescue qualified) and my wife snorkling. I have used liveaboards in a number of places around the world and this is the best yet. Whilst quite large with 40 + guests when full it doesn’t feel crowded and the staff work incredibly hard led by Michelle ( burser) who was superb. 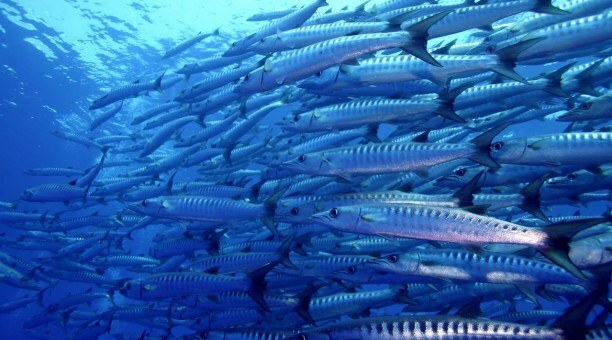 Dive sites were well selected and suitable for all levels of experience. Even though I have done 220 + dives I still took a guide, Will a trainee dive master, as he knew the actual sites well. 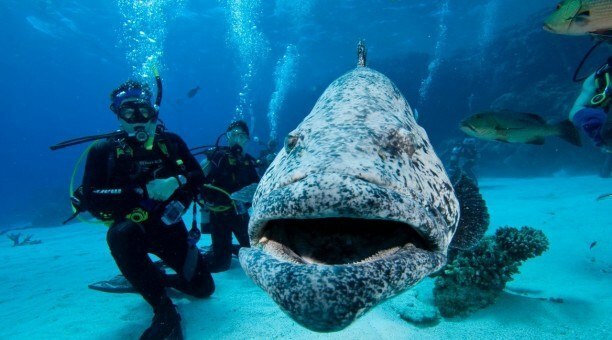 Very worth it given dive time is limited to 40 mins even though average depth only 10 metres. Diving is just awesome both day and night and staff made sure sensible sized groups went out - never more than 5 or 6. Food is excellent and accommodation ( we didn’t go VIP) roomy and comfortable- most room ever on a liveaboard. Can’t recommend these operators highly enough. Absolutely loved the top deck experience. Staff are super friendly and very helpful when needed. I reccommend the top deck club because the experience you get is invaluable. The food was also really high quality and delicious. Special thanks to Mackensea our top deck guide who made our experience all the more worthwhile. We will definitely be coming back to reef encounter. Thank you once again. How were the crew? "Excellent: very insightful and always ready to help out with anything." How was your accommodation and the meals provided? "Rooms were amazing: clean, great view, lovely presentation upon arrival. Food was delicious for every meal!" Do you have any additional comments? 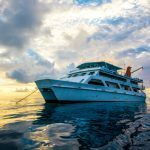 "will definitely would recommended to everyone who's looking for a liveaboard cruise. " How were the crew? "Fantastic! super friendly, relaxed but professional very attentive w/out hovering, made you feel like you're w/very capable friends". How was your accommodation and meals provided? "hit the spot! never went hungry, and catered to my dietary needs, without compromising the enjoyment. I felt taken care of. Do you have any additional comments? "Meg was amazingly patient w/ my parents anxiety & indecision over what to. She made them feel safe & open to trying new things. She also gave me peace of mind & helped me relax as well. I'd ask for her again!" How were the crew? "Crew were very hard working, friendly and safety focused, credit to the company, 10/10" How was your accommodation and meals provided? "both room, facilities and meals were above expectations" Do you have any additional comments? "My background is in safety management, I was impressed by adherence to safety policy, code of practice responsibilities. Well done, crew were great people, I had a very enjoyable 8 days". Top Deck liveaboard bliss! I really can’t say enough about our Reef Encounter experience. 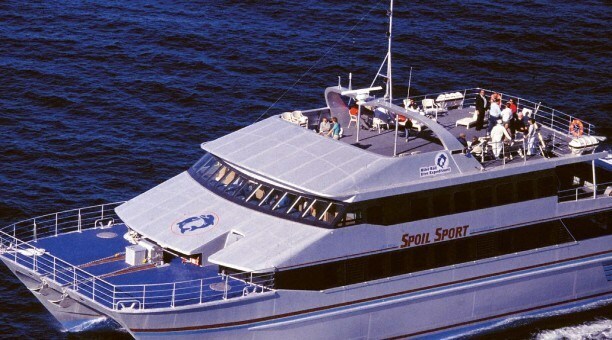 My husband and I booked the Top Deck 2 day/1 night trip at the end of March. 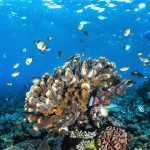 We looked at TONS of other dive companies and tours and chose the Reef Encounter based on its reviews and I’m so, so glad that we did. We went back and forth for a while about doing Top Deck due to the additional cost but it was absolutely one of the best decisions we made on our trip! We had both just been scuba certified a month before so we wanted to make sure we had a personal guide instead of a group (we didn’t want to hold anyone back as novices). From the moment we checked in we were well taken care of. Kari was our guide and she was amazing. Friendly, patient, funny— and she anticipated needs we didn’t even know we had (like throwing our towels in the dryer so that they would be warm when we got out of the water!). She also knew where to look for everything in the reef which was incredibly valuable. We would have been swimming around aimlessly, although the GBR is stunning, obviously. I wasn’t feeling well the first day, but I was able to go out with another guide (Nick Paul was incredible, too!) so the staff’s flexibility was really appreciated. It’s been said many times, but in addition to the service, the food was also outstanding. We wanted for nothing— except more time on the reef. It was an experience that we’ll cherish forever— book this trip, you won’t regret it. 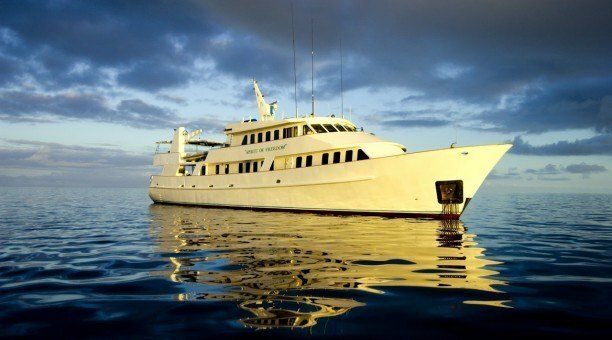 ***I researched many Great Barrier Reef Liveaboards before deciding on Reef Encounter. 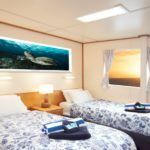 If you want a liveaboard that is roomy, serves delicious food, and moves the ship each day so you can see more of the reef, THIS is the one for you. I urge you not to wait to book your trip as the reef is dying due to coral bleaching. If this is a dream, make it happen now! *** We spent the first part of our honeymoon diving with Reef Encounters. We went all out and paid extra for the Top Deck VIP Package. It was so well-worth it! 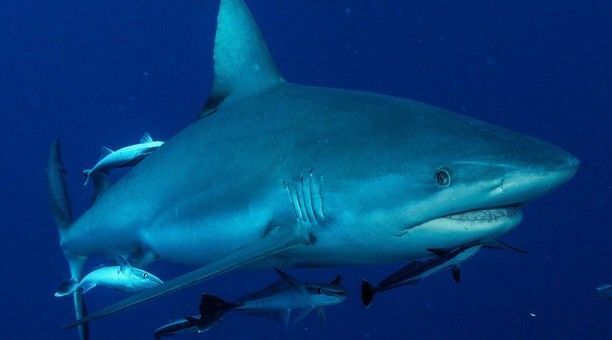 The package included several perks such as incredibly roomy accommodations and a guide on all dives. Kiri was a great guide, who took us to the best parts of the reef while pointing out multiple camouflaged creatures. The ship moved twice a day so we were able to dive different parts of the reef. There was a professional photographer on board who took some wonderful shots of us diving with sea turtles! The food was incredible! I cannot say enough about it! It was like dining in a 5-star restaurant with beautifully presented deliciousness! This is not just for those who pay for the VIP package...everyone, including the crew, eats steak and lamb chops for dinner! This was our first liveaboard experience and, from what I've heard from friends and researched online, nothing will ever top it! For those thinking about going solo, DO IT! There were several solo divers on board who decided to dive together. You also have the option of hiring a guide. Happy diving! Room Tip: Top Deck VIP rooms are the best!